Backcountry rangers are the main line of defense for both people and the wilderness they enjoy in the John Muir Trail Backcountry. They provide oversight and protection for the natural environment and everyone who is there to enjoy it all. You can easily see how important the backcountry rangers are to the 213.7 mile stretch of the John Muir Trail and the vast wilderness of the JMT Backcountry. These dedicated people are highly-skilled backpackers and mountaineers who are the first responders, the remote emergency medical technicians, and the trail ambassadors who remind everyone what “Leave No Trace” really means. 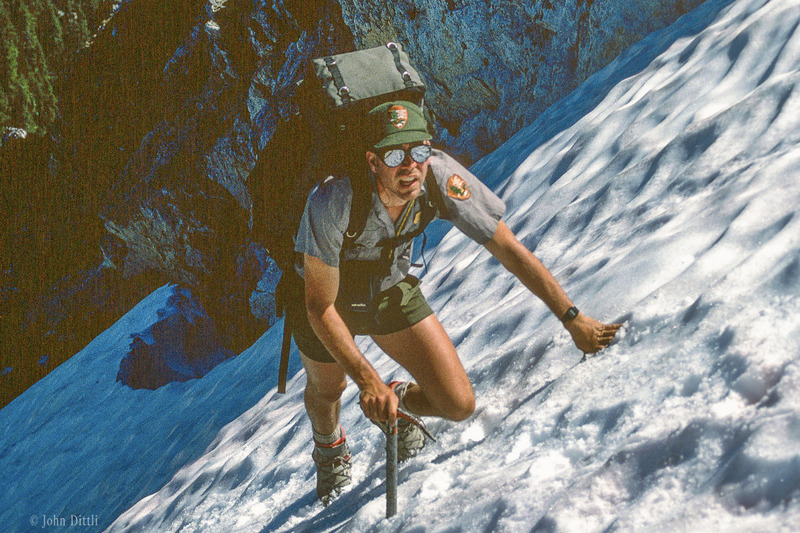 Through their regular patrols, backcountry rangers protect the wilderness and keep everyone safe. If you inadvertently pitch your tent too close to a stream or fragile meadow, you will be graciously guided to another spot. It is the rangers who restore illegal fire pits and campsites, and post warnings about sensitive terrain or dangerous spots. The backcountry rangers are our “nature guides” and will happily identify where you are on a trail map, what peaks you are looking at, and the distance and time remaining in your hiking day. They can tell you about the wildflowers, meadows, animals and birds you may encounter, usually with a personal story tossed in. If you sprain an ankle, break an arm, or take a fall, these people are the remote EMT’s that provide immediate medical attention to stabilize your injury and help you out. In the event you are lost or seriously injured, the rangers organize the search-and-rescue operations to get you home safely. If tragedy strikes, they put themselves in danger to scale the steep cliffs and or belay the sharp descents to recover a body for its return to family. These unsung heroes push their limits regularly and literally risk life and limb whenever needed. Yet, it is an accepted truth that these rangers are “paid in sunsets”. The monetary compensation for a backcountry ranger is on the GS5 scale (annual base $37,500 at step 1) reduced proportionately to a half-year season. How can we enjoy the beauty and magic of the JMT wilderness without supporting the backcountry rangers who are its most effective guardians? 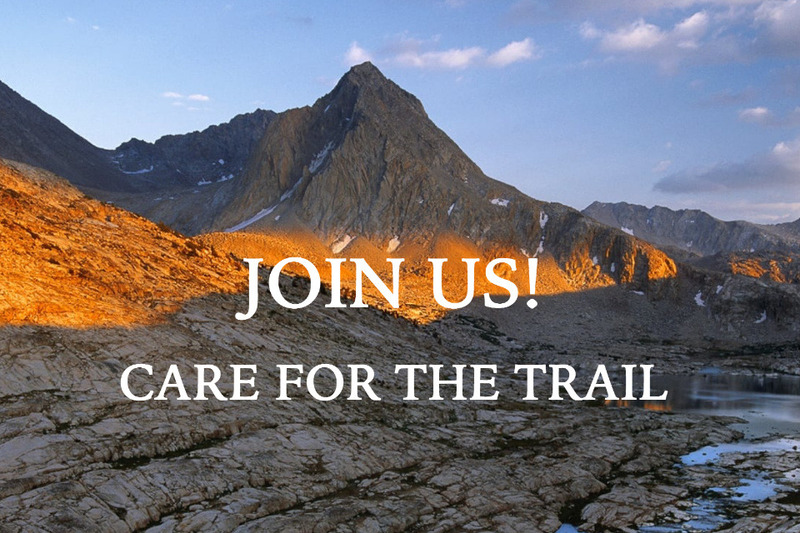 Please help the John Muir Trail Foundation support the ranks of backcountry rangers across the JMT Backcountry. 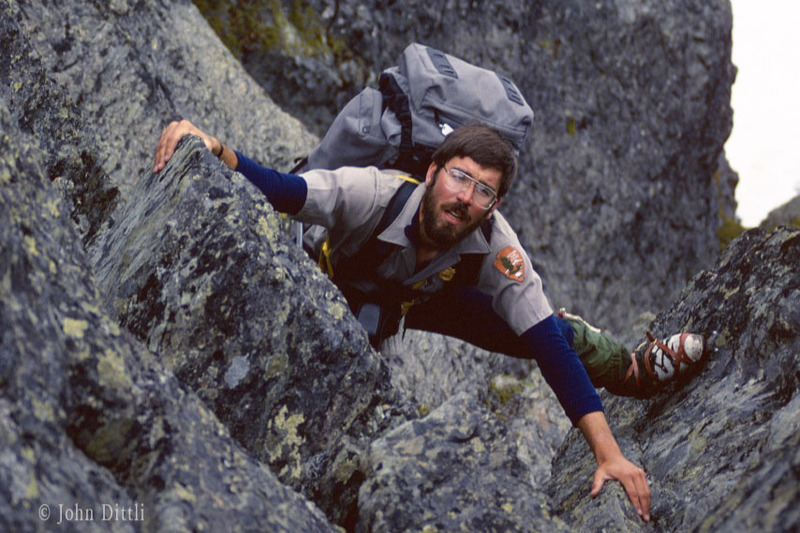 Your donations will go directly to the rangers working the JMT Backcountry! Any additional funds will be used to repair and improve ranger shelters and stations, replace and update their gear and equipment, maybe even allow them to add a few creature comforts. These unsung heroes will receive a deserved addition to their hard-earned income. IT IS UP TO US to show our gratitude. Your donation will be greatly appreciated, a much-needed boost in this season’s support of those who are dedicated to our safety while protecting this fragile wilderness. 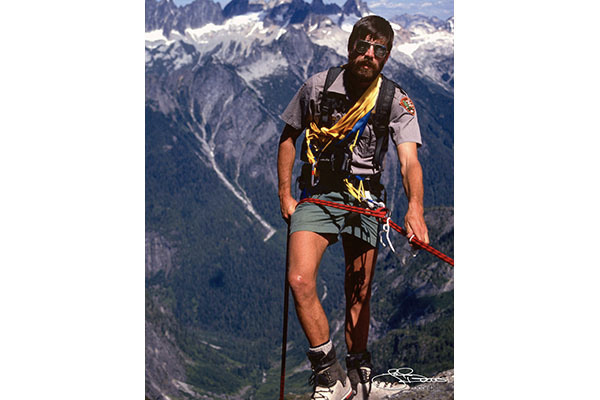 Please make a donation to support the JMT Backcountry rangers. Your support will show them that their daily hard work is truly valued and appreciated. The John Muir Trail is one of the oldest trails in America, and the first created by law (California 1915). It lies completely on public lands, and so is owned by the American people. The JMT crosses 3 national parks: Yosemite, Sequoia and Kings Canyon; two national forests: Inyo and Sierra; two federal wilderness areas: Ansel Adams and John Muir; and one national monument: Devils Postpile. The 213.7 mile route of the JMT forms the backbone of a network of other trails along this high-elevation stretch of the Sierra Nevada, roughly 400 miles of spectacular access to wilderness. Because of relatively mild weather, its high-elevation landscapes are accessible from June to October, a fairly long season. In the last decade, public demand for access has skyrocketed, leading to a tidal wave of backpackers pushing the limits of the JMT wilderness where the extraordinary high-elevation terrain does not recover easily. 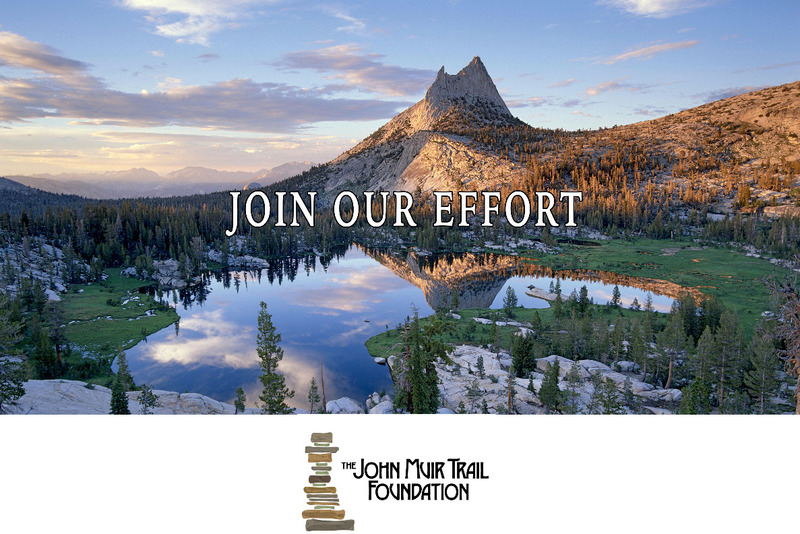 The John Muir Trail Foundation focuses on three areas: the restoration and repair of visibly damaged areas along the trail network; assessing the human impact on the broader wilderness along the JMT’s route; and affirming and restoring the trail’s historic value among America’s natural wonders. 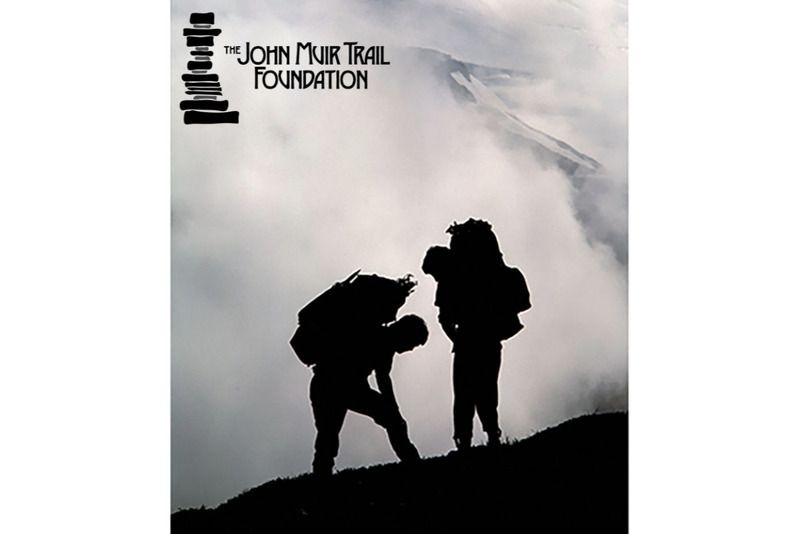 The John Muir Trail Foundation is a non-profit organization.